Most of the focus around the 30th edition of the European Film Awards is on the movies with the most nominations. In prime position is The Square, Ruben Östlund’s social satire with five nominations. Best European Film, European Comedy, Director and Screenwriter as well as Actor - Claes Bang. It is followed by on Body and Soul (Teströl és lélekröl), Ildikó Enyedi’s romantic drama, with four nominations: Best European Film, Director, Screenwriter and Actress - Alexandra Borbély. Two films have garnered three nominations each: Andrey Zvyagintsev’s divorce drama Loveless (Nelyubov, НЕЛЮБОВЬ): Best European Film, Director and Screenwriter. Yorgos Lanthimos is nominated for his surreal family drama The Killing of a Sacred Deer. But what about the films that might attract less acclaim and media attention but still merit a watch? The European Discovery - Prix FIPRESCI -category always offers arthouse movies which deal with serious social questions in a sensitive way. 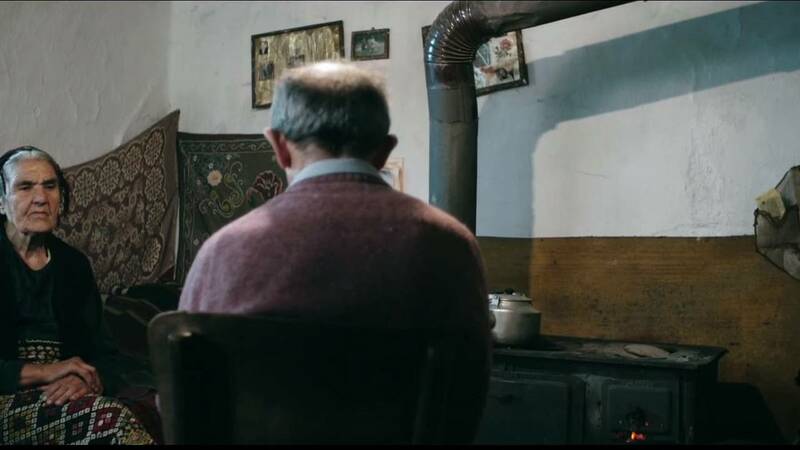 Godless, set in Bulgaria, tells the story of a morphine-addicted young woman who takes care of elderly people suffering from dementia while trafficking their ID cards on the black market. Nothing seems to touch the nurse’s conscience, even the incidental murder of a patient who threatened to expose her fraudulent dealings. The French Film Petit Paysan (Bloody Milk) is nominated in the same category. Pierre is a 30-year-old dairy farmer. When the first cases of an epidemic disease break out in France, Pierre finds out one of his animals is infected. Losing his cows is not an option for Pierre. He has nothing else and he will do whatever it takes to save them. The movie is takes a raw look at the hardships involved in running a modern-day farm and Pierre is part of a dying breed trying to make ends meet in a place where agribusinesses rule and smaller farmers have a hard time surviving. The Good Postman is set in a small Bulgarian village alongside the Turkish border that finds itself in the middle of a European crisis, as asylum seekers sneak past the border each night. The forgotten village has become the most important secret loophole into Europe when Ivan, the local postman, has a vision. He decides to run for mayor and bring the dying village to life by welcoming refugees. German movie Willkommen bei den Hartmanns (Welcome to Germany) is nominated for Best European Comedy. A well-off Munich family offers a room to a refugee from Nigeria but soon come up against the challenges of racism, bureaucracy and even under suspicion of terrorist activities. It is one of Germany’s most successful films this year and looks askance at Angela Merkel’s refugee politics. Combining comedy with European politics: King of the Belgians is also amongst the films as nominated as Best European Comedy. Against the backdrop of Brexit and Catalonia ’s battle for independence, this movie is a great mockumentary in which the King of the Belgians is on a state visit in Istanbul when a dispute between the Walloons and the Flemings splits Belgium in two. The King is unable to return home in his plane plane due to a solar storm. Loving Vincent is among the nominations for Best European Animation. A biographical animated drama about the life and controversial death of painter Vincent van Gogh. Every frame of the film, of which there are around 65,000, is an oil-painting hand-produced by one of 125 professional oil-painters. The project started as a Kickstarter campaign and in the end there were, in total, about 5,000 applicants, many of whom became interested after watching an online "recruitment teaser" for the project. A must for every animation film lover. Ethel & Ernest takes an honest look at life based on Raymond Briggs' graphic novel with the same title. It’s a heart-warming, humorous and bittersweet. The film follows the lives of lady’s maid Ethel and milkman Ernest from their first chance meeting in 1928, through the birth of their son Raymond in 1934, to their deaths, within months of each other, in 1971.